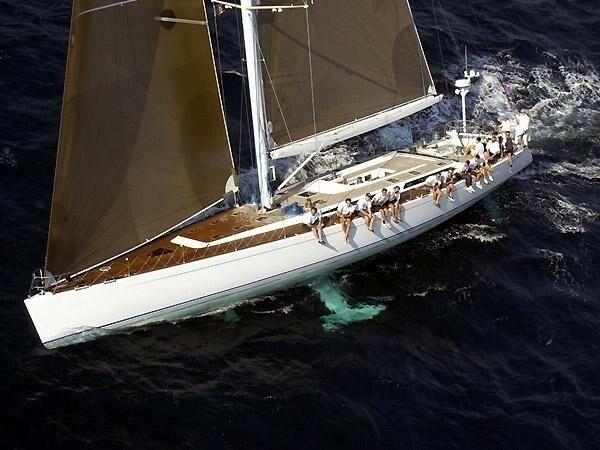 Sailing yacht LUPA OF LONDON (ex RUSALKA) is a Baltic 78' (24m) which was built in 2000 by Baltic Yachts, Finland and designed by Reichel / Pugh. 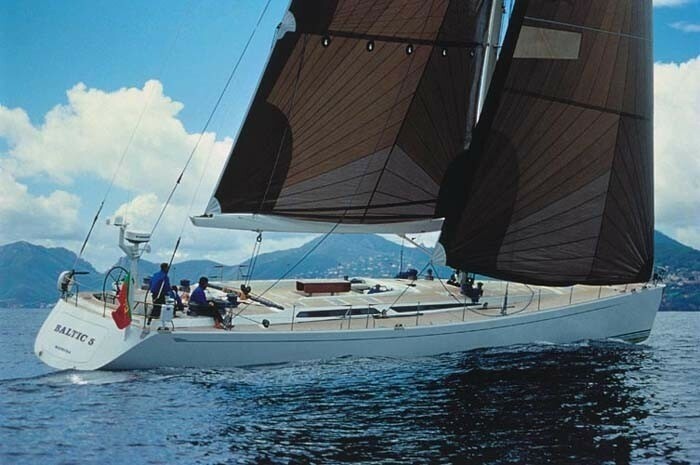 She is a performance sailing yacht with a easily driven hull, powerful sail configuration and canting keel. 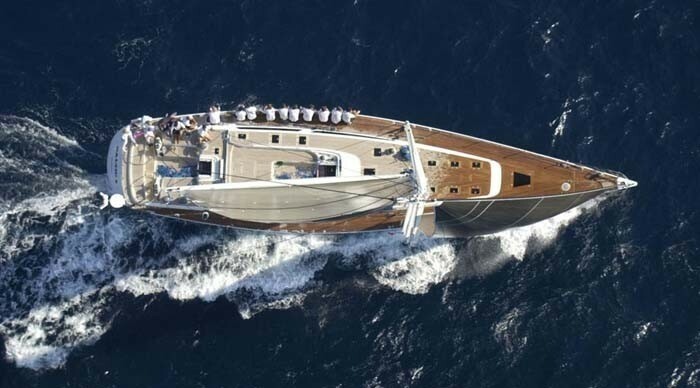 LUPA OF LONDON is a magnificent yacht for keen sailors. 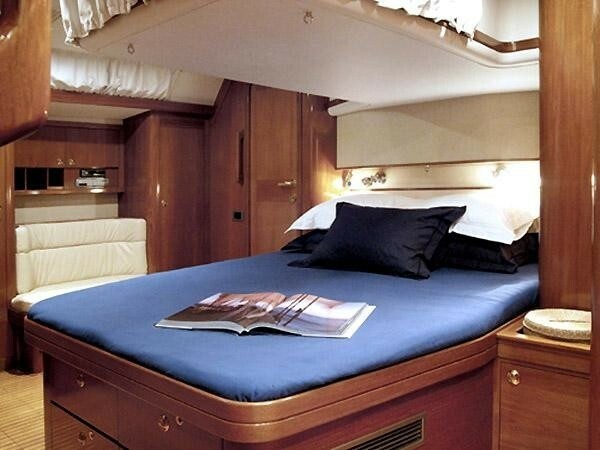 Below decks, crewed charter yacht LUPA OF LONDON features a contemporary elegant interior décor by R&J design. 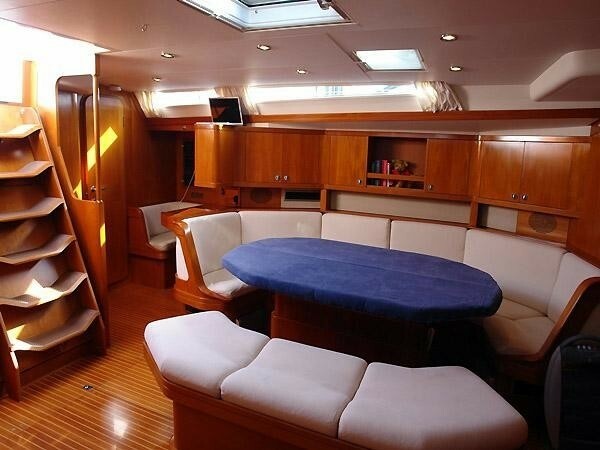 The salon is an open plan, offering a large settee, sofa and formal dining table. 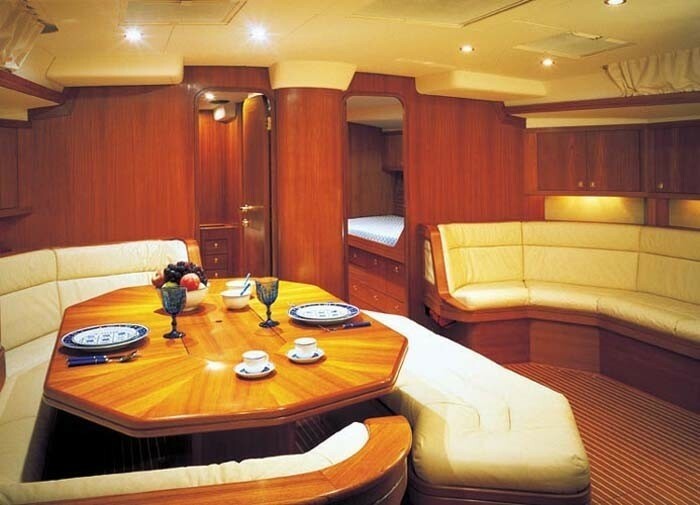 Teak and holy inlaid floors, warm wood panels and crisp white soft furnishings, create a minimalistic and spacious ambiance. 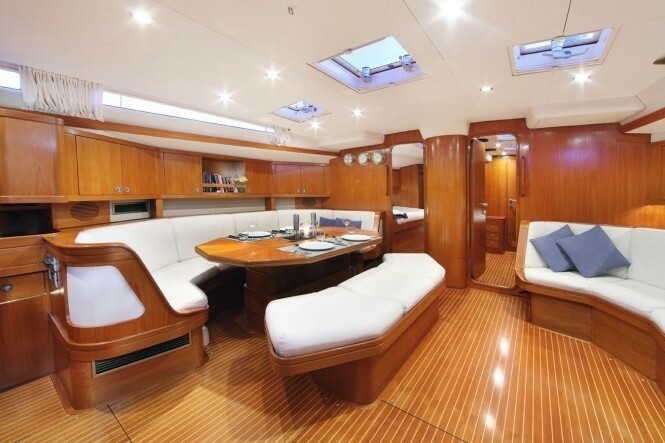 Side ports and overhead hatches bring in ample natural light. LUPA OF LONDON also offers the creature comforts for up to 6 guests in 3 cabins with a comfortable saloon, large cabins and separate galley. 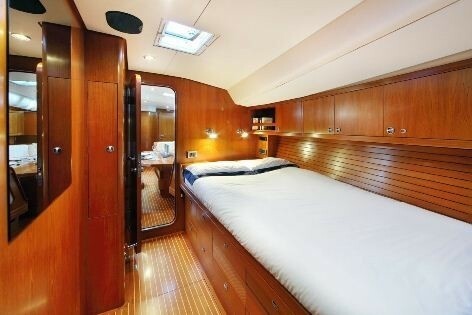 A fantastic crew means this Baltic 78 has everything required for your luxury sailing yacht vacation. 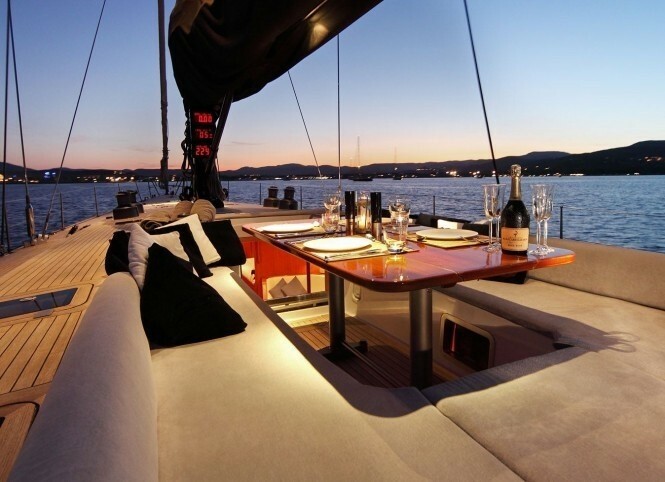 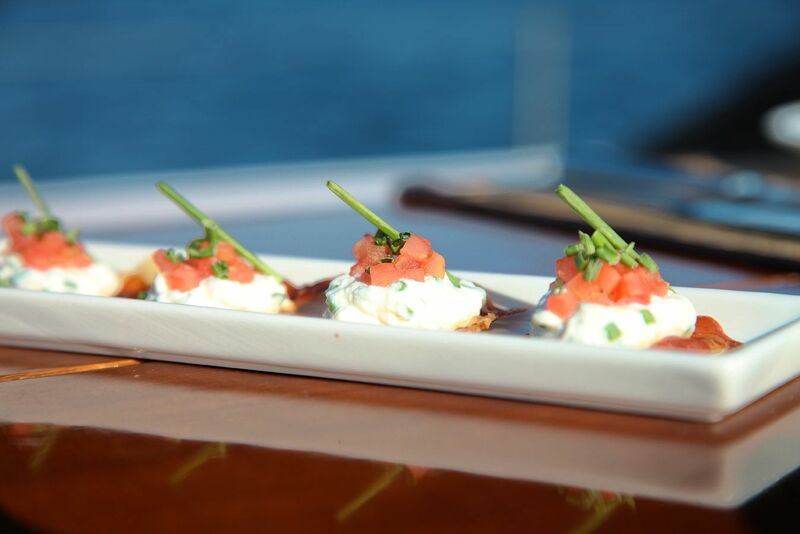 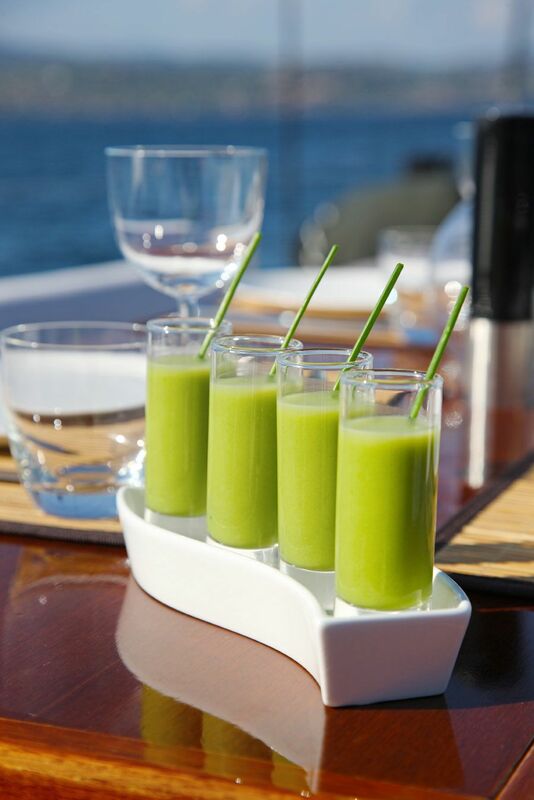 On deck, the luxury crewed charter yacht LUPA OF LONDON boasts exceptional deck areas. 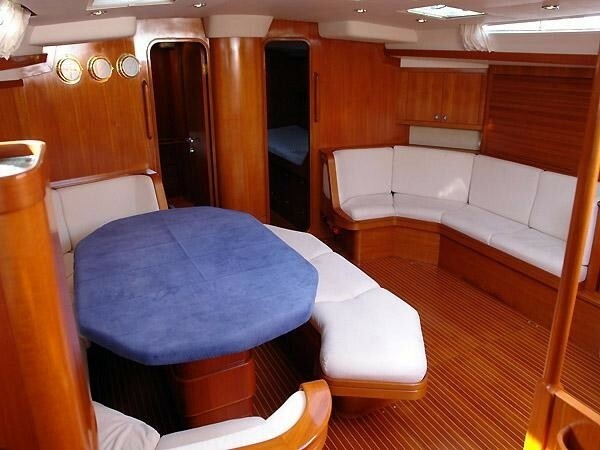 There are 2 cockpits, her guest cockpit table on deck, is large enough to seat all of her guests comfortably for al fresco dining. 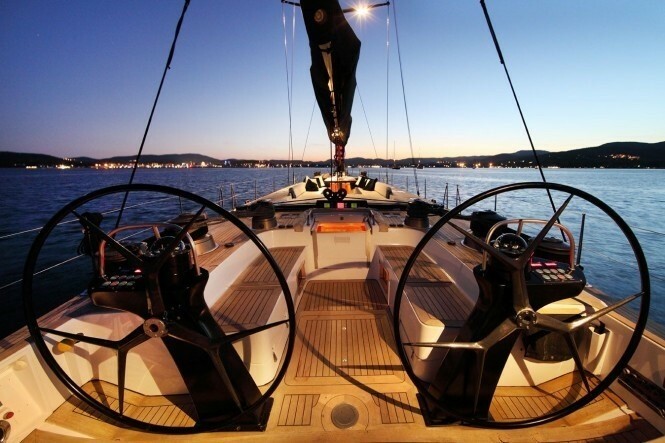 Aft, the dual helm cockpit is where all the remarkable sailing action takes place. 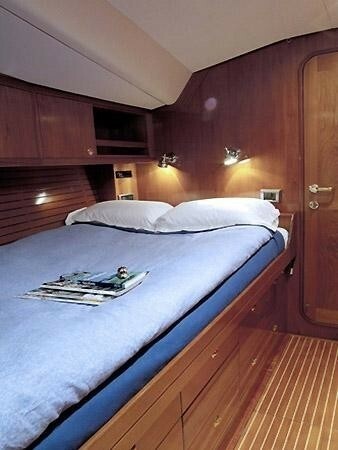 S/Y LUPA OF LONDON has fabulous teak decks and flush hatches, ideal for relaxing and perfect for performance sailing. 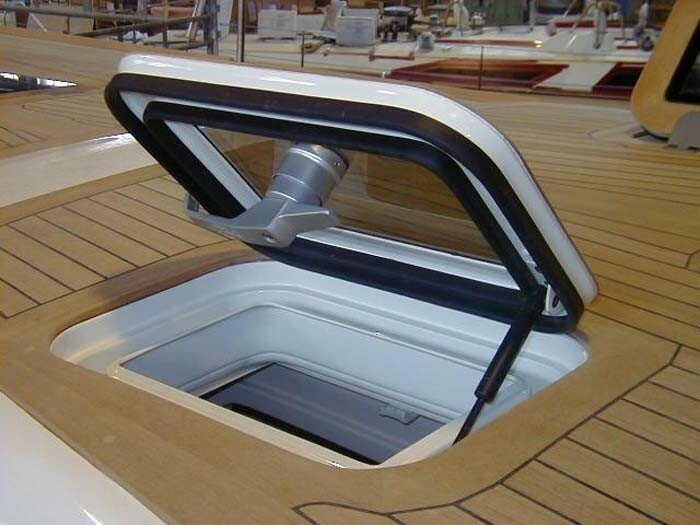 The transom boasts a fold out swim platform, providing effortless water access. 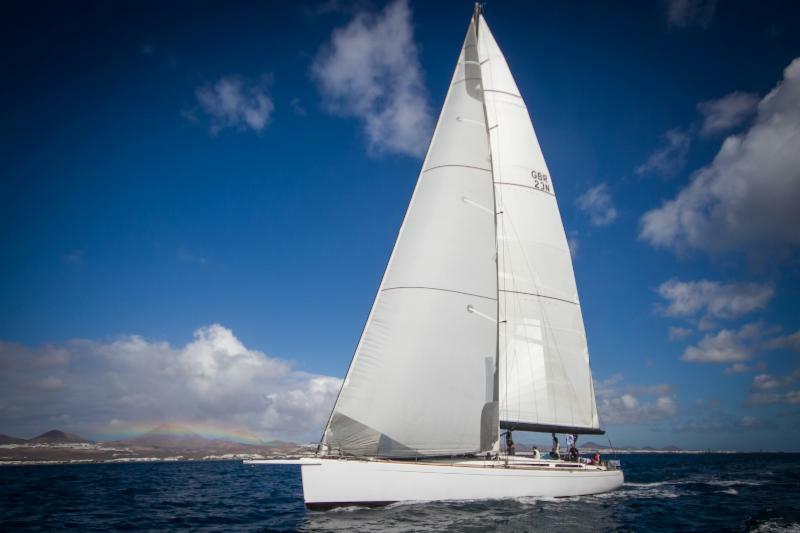 Charter yacht LUPA OF LONDON offers a good assortment of water toys to enjoy, including full equipment for kite surfing. 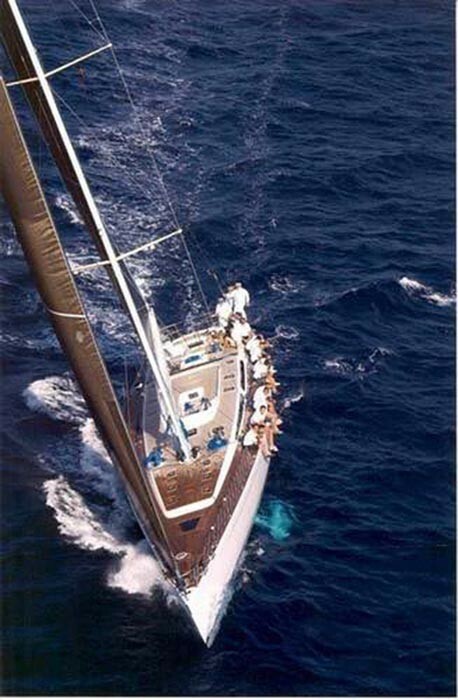 Sailing yacht LUPA OF LONDON is a sloop rigged, she carries an impressive 338m2 of sail upwind and boasts 666m2 sail area downwind. 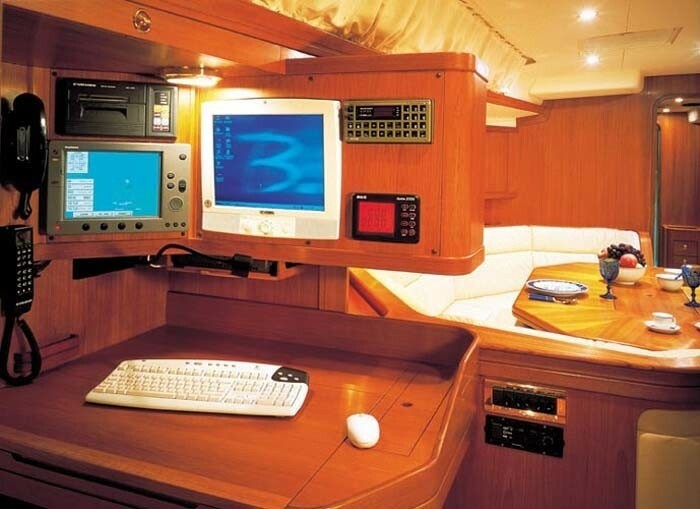 Powered by 1 Yanmar 170hp engine, she is capable of 9 – 10 knots. 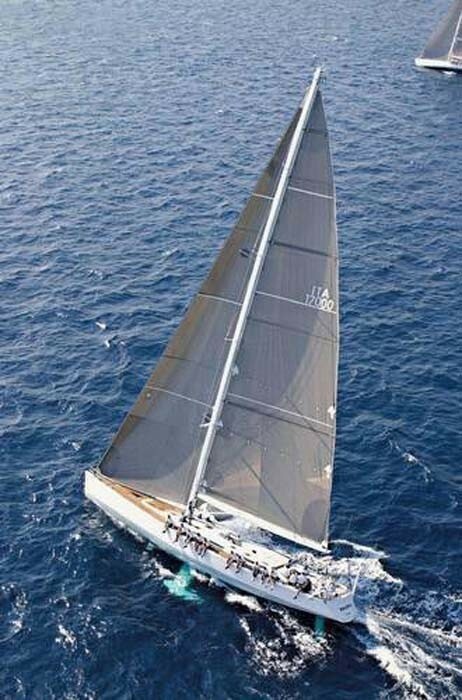 LUPA OF LONDON’s hull is pre-pregnated epoxy carbon fiber over a Nomex core, making her a light and responsive sailing yacht. 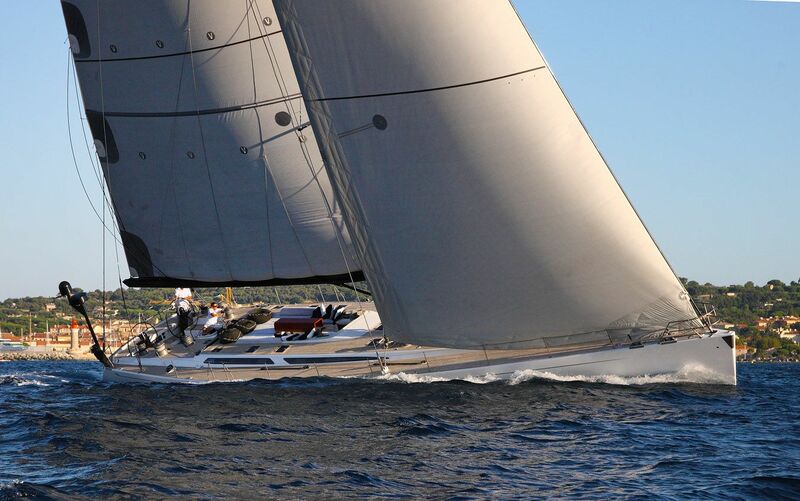 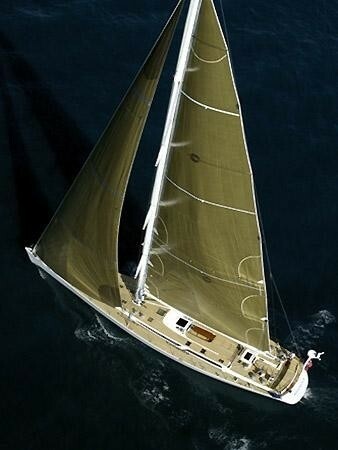 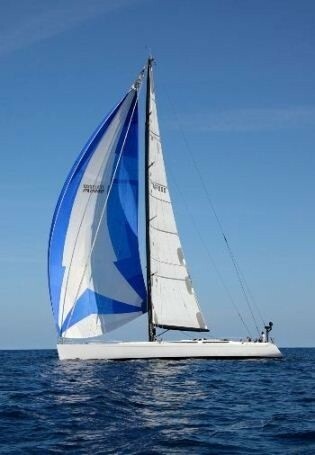 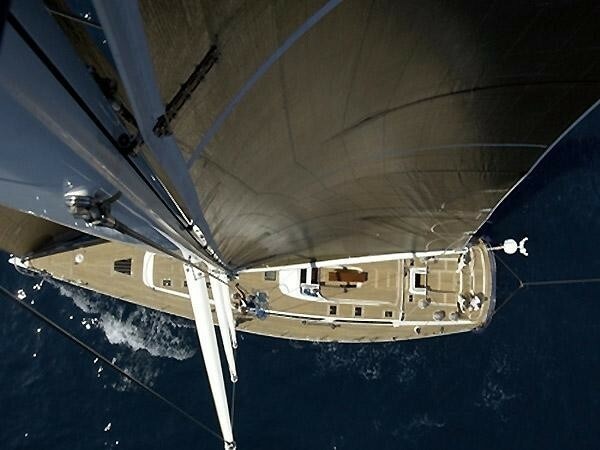 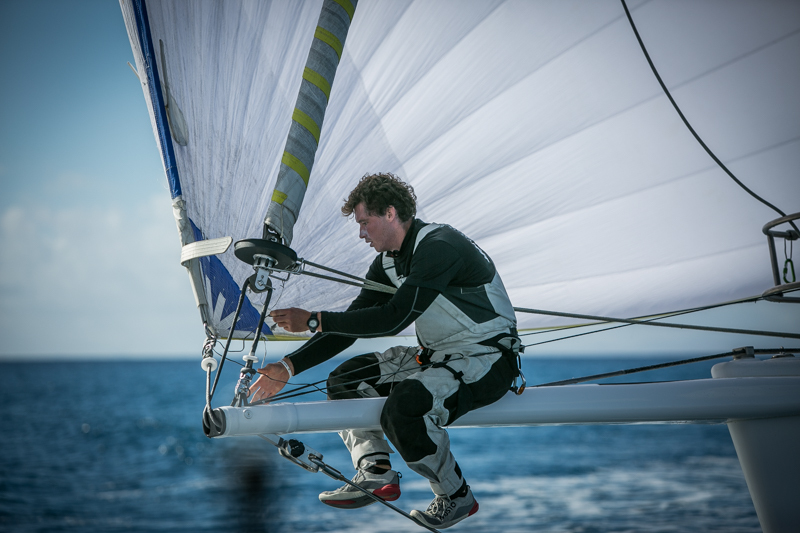 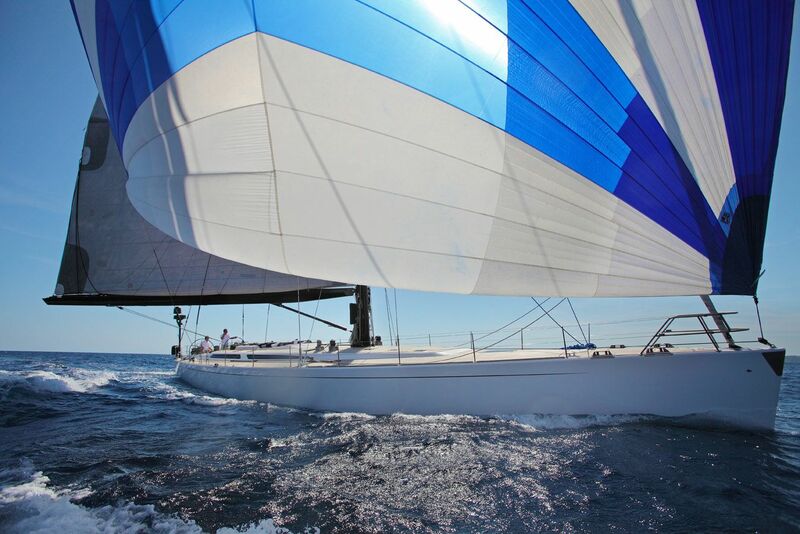 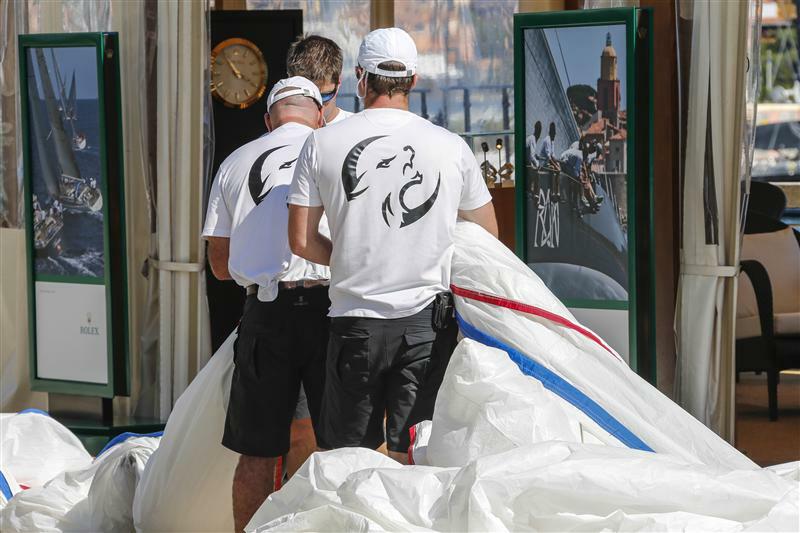 A great yacht for speed her hydraulic canting keel greatly increasing upwind performance. 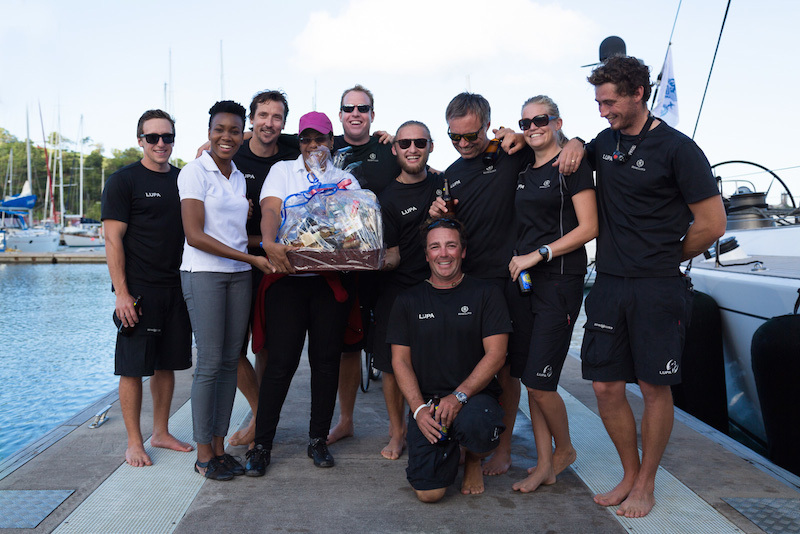 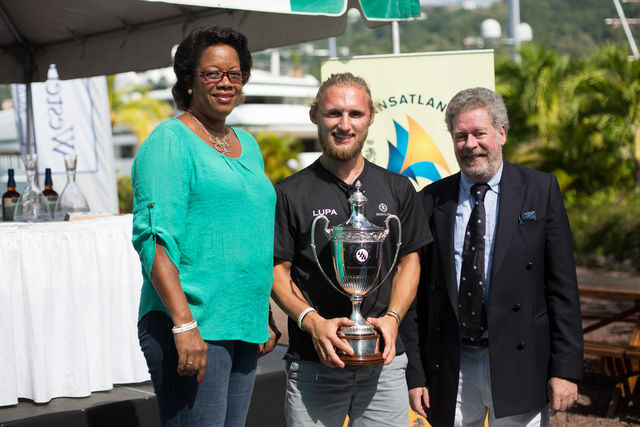 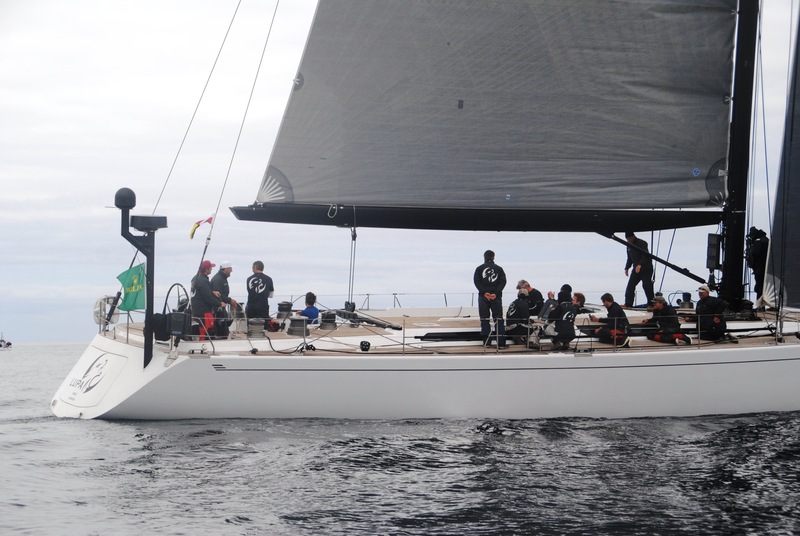 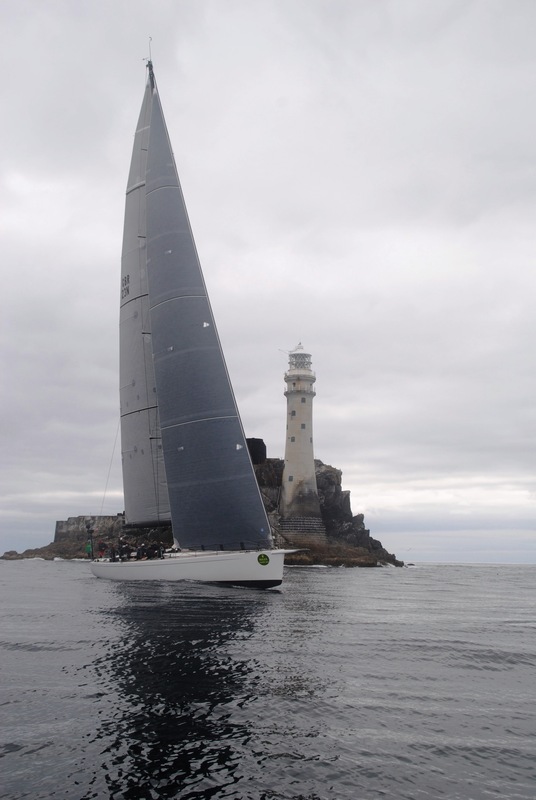 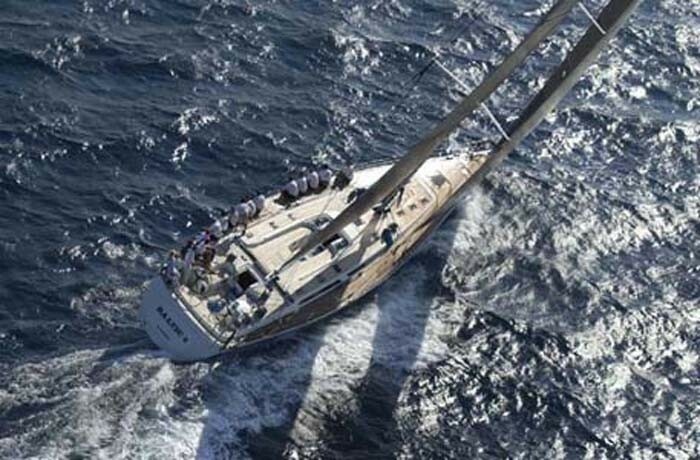 S/Y LUPA OF LONDON boasts an incredible racing portfolio, with such accolades as line honours & 1st place in IRC Overall at the first RORC Transatlantic Race 2014 after 3037nm. 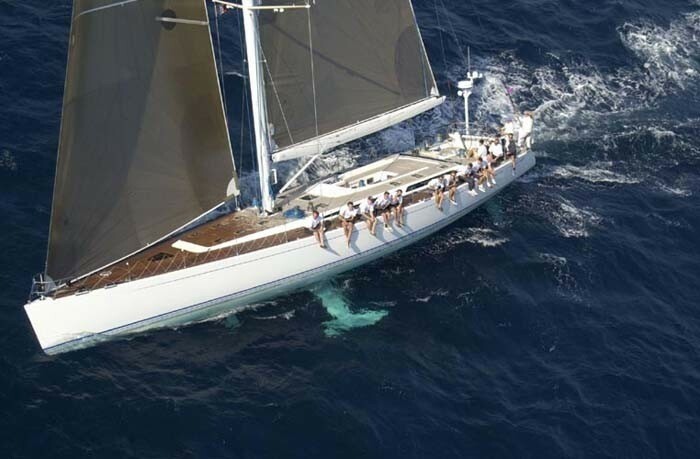 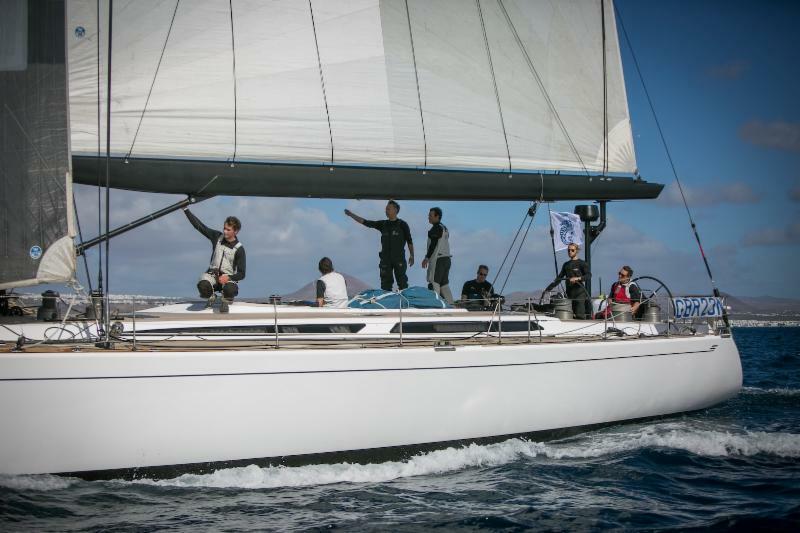 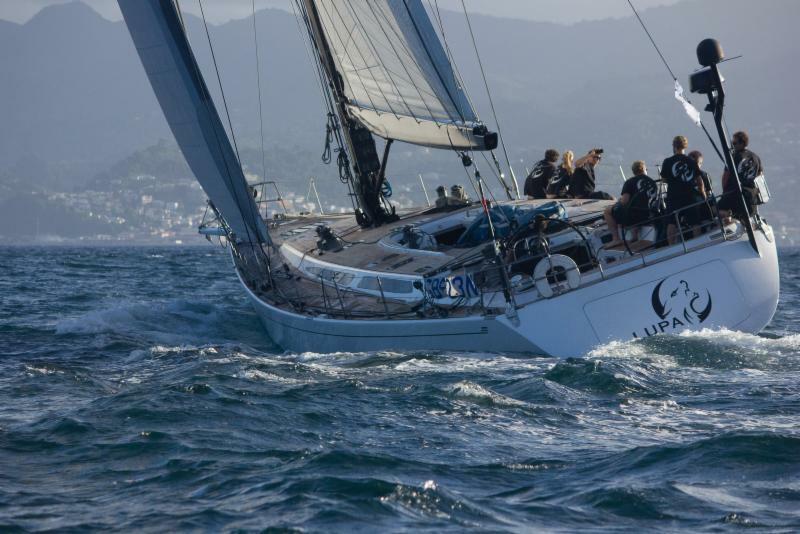 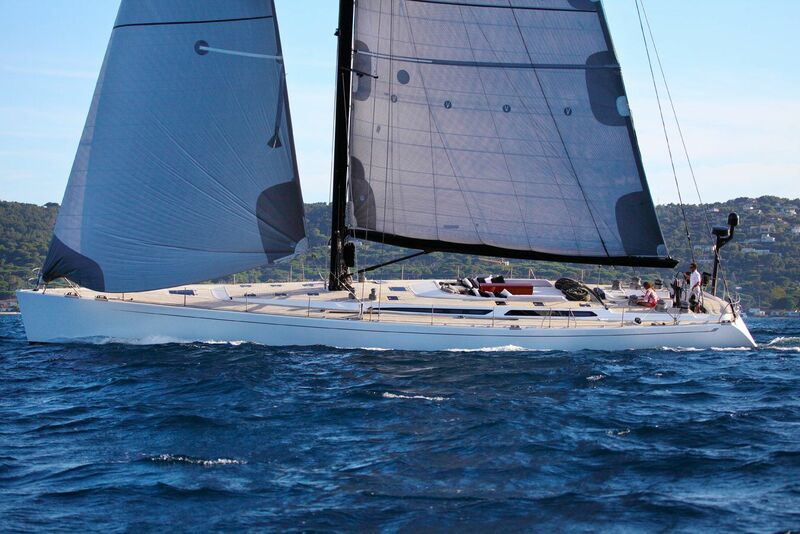 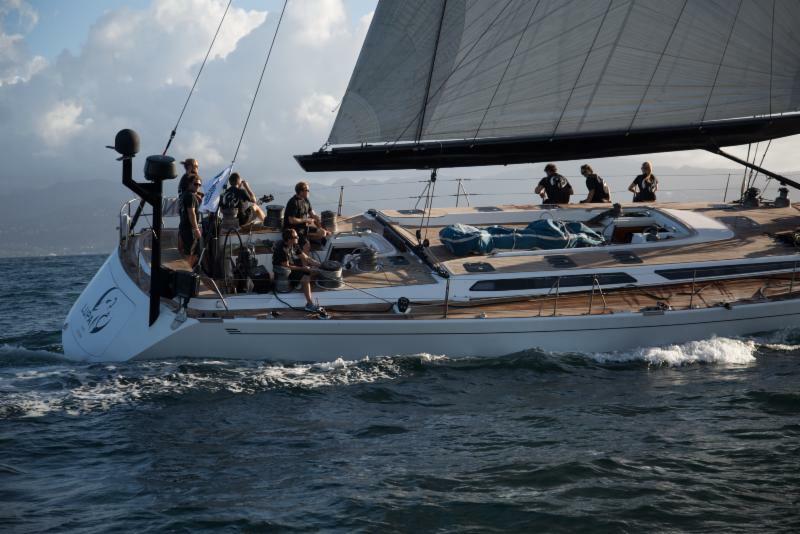 The LUPA OF LONDON sailing yacht is available for select race charters. 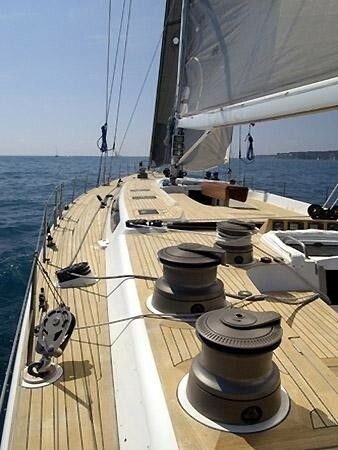 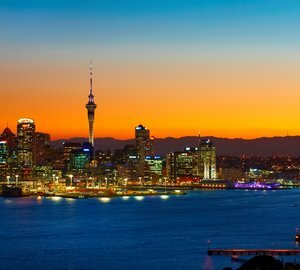 Please contact CharterWorld for a full quote. The LUPA OF LONDON yacht is able to accommodate six charter guests in 3 double cabins. 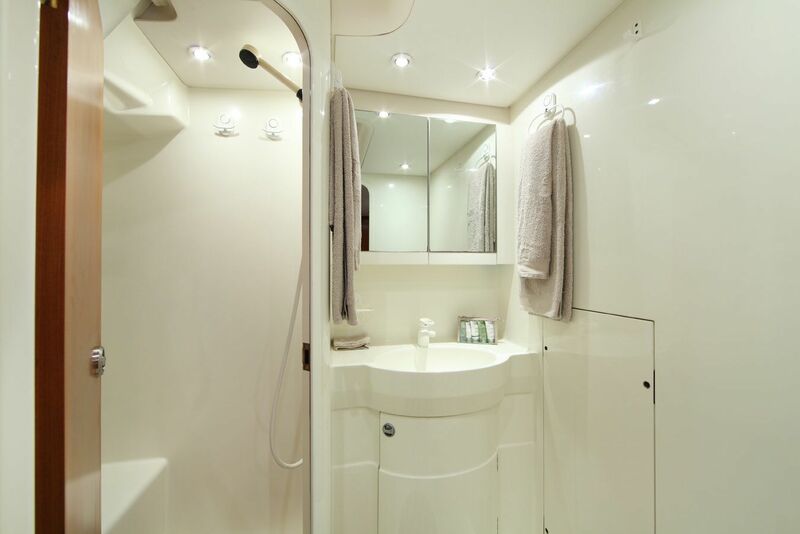 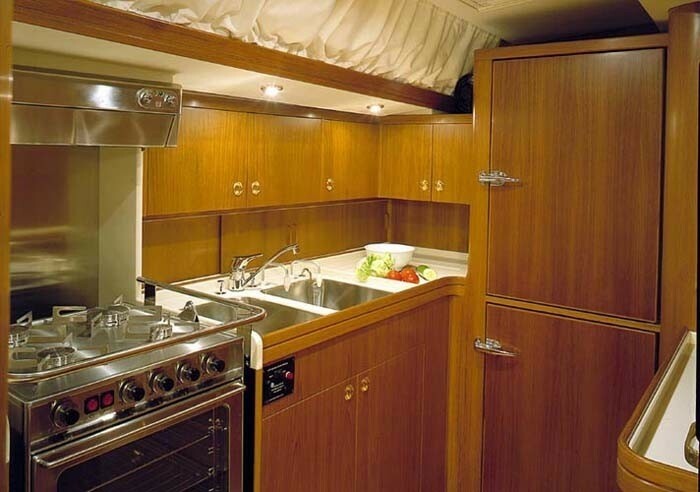 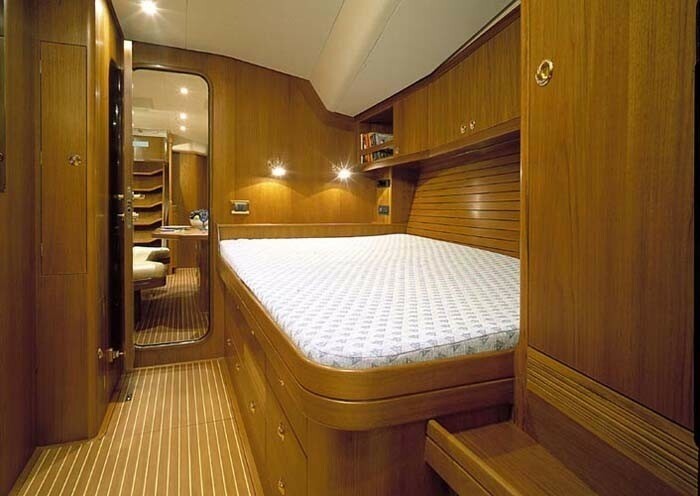 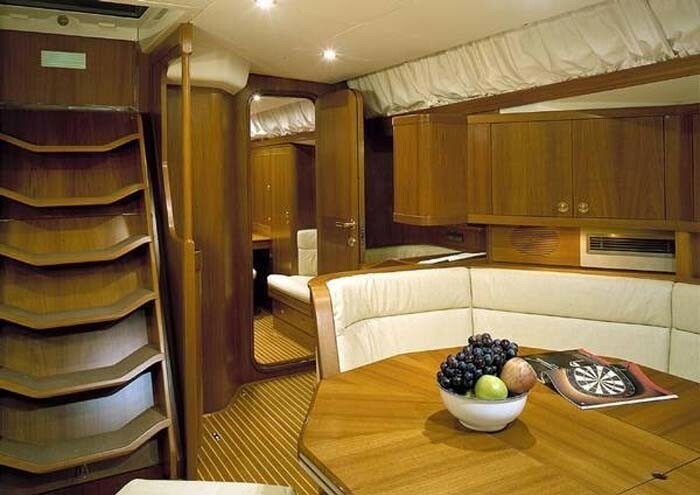 The Master cabin, aft of saloon, is full width, with ensuite with shower and heads. Two double cabins are forward of saloon, each with heads, sharing a shower. 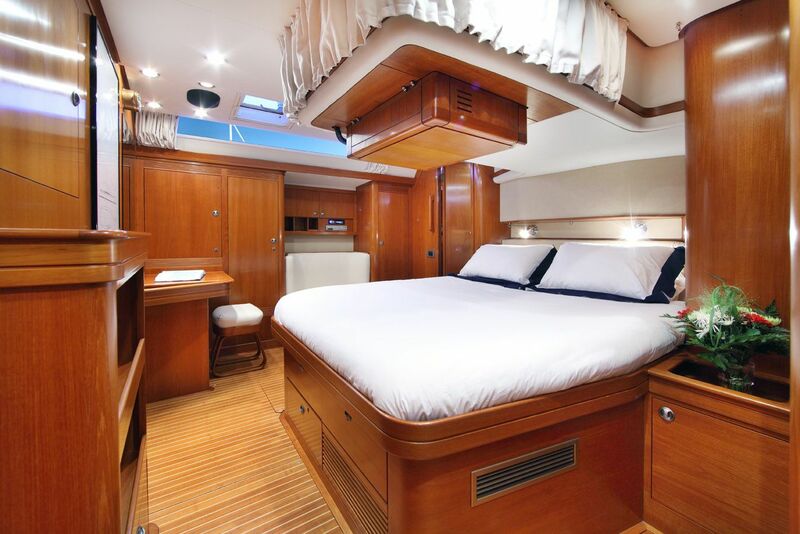 Tenders & Toys onboard the LUPA OF LONDON charter yacht include a Tender: Novurania 4m with Yanmar 50hp Waterskis, Wakeboard, deathring, 2 person sausage, snorkelling equipment Lilo, Communications equipment includes: Mini M System, Epirb ACR 406 MHz, Navtex receiver, VHF Shipmate, SSB Sailor 250 W, Audio Visual Equipment includes plasma TV in Saloon with Surround Sound for DVD including iPod docking station, Plasma Screen in Mastercabin with DVD and iPod docking station, Stereo Hi-Fi/CD in each double cabin.